A contemporary twist on a classic ceiling light, this striking design from the Porta Romana collection plays with the idea of exploding matter. 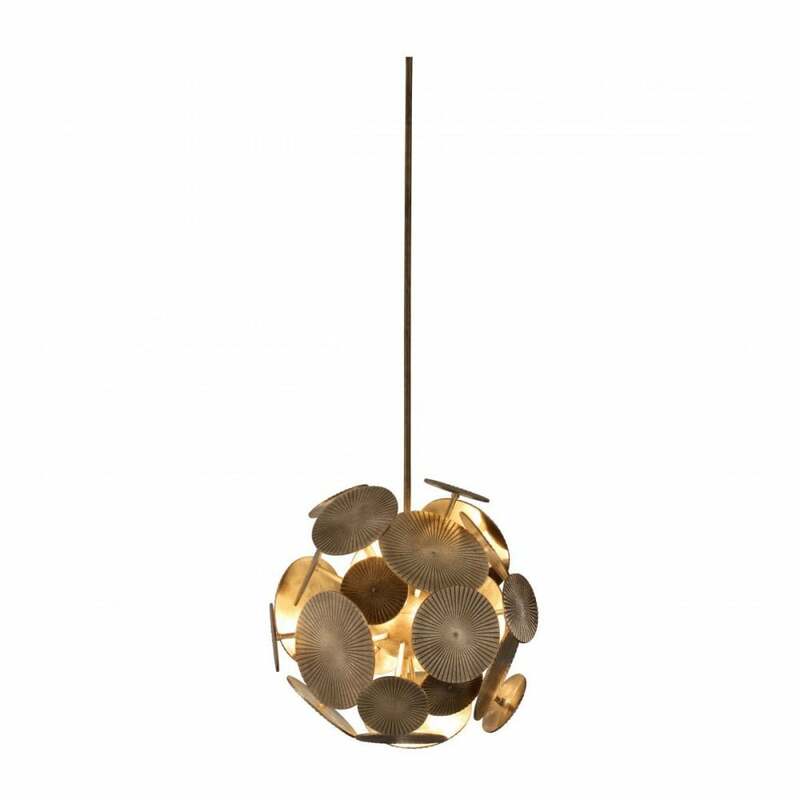 Inspired by science and space, the Nova Ceiling Light features discs of precious metal that are suspended mid-combustion. Hand-crafted by skilled artisans in the UK, this unique construction is created using the traditional technique of sandcasting. Each disc is painstakingly moulded from molten metal and hand-finished to achieve its textured surface. Nova will add a touch of modernity to a more classic interior or create a statement in a monochrome scheme. Choose from Brass, Rose or Silver finishes. Also available as a ceiling light and bulkhead. Make an enquiry for more information.